Vogue Arabia brings #shadesofLINDBERG to the warm beaches of the Arabian Peninsula. The editorial explores the contrast of shadows and sunlight in a dreamy and natural setting. The charming getaway embraces a cinematic ‘50s aesthetic, inspirited by the timeless styles from the LINDBERG sun titanium collection. #shadesofLINDBERG appeals to people from different walks of life through the boundless sun titanium collection and the art of customisation. In the spirit of diversity and individuality, LINDBERG presents an ensemble of fresh mindsets from around the world, sharing their perspectives of LINDBERG designer sunglasses. Embrace the LINDBERG philosophy of premium quality eyewear and tailor-made designs. Whether you prefer square or round, small or oversized sunglasses, the craftsmanship of LINDBERG ensures that there is a perfect pair of glasses for your unique taste. World patented screw-less hinges, adjustable bridges, the choice of different of nose pads and temple lengths. Custom sunglasses, hand-finished for a truly personalised experience. Acetate, composite and rimless sunglasses all made with durable, flexible and ultra-lightweight titanium for remarkable comfort. German eyewear fashion magazine, Spectr immerses #shadesofLINDBERG within the culturally rich environment of Cologne. In a raw and unfiltered composition, cool sunglasses fit seamlessly in a contemporary and youthful street style, proving eyewear is transformative to personal aesthetics. DANSK Magazine’s take on #shadesofLINDBERG draws inspiration from the iconic American actress, Ali MacGraw. The editorial shines a new light on modern sunglasses with a ‘70s edge. The rimless sunglasses and retro aesthetics are a true testament to Ali MacGraw’s timeless beauty and style. The new sun titanium collection is a fresh perspective on fashion sunglasses with the unique combination of ultra-thin acetate inner rims and oversized frames. 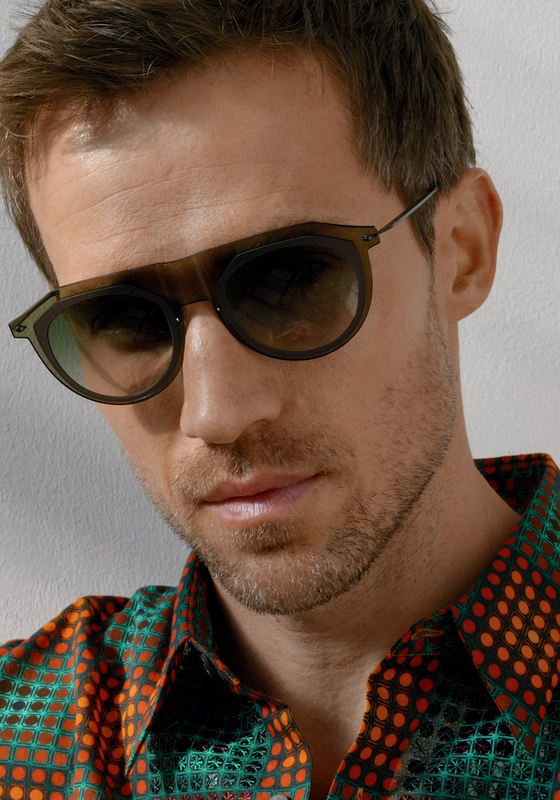 The sunglasses are inspired by classic eyewear shapes made with a high level of technical ability. The unique mix of materials and forms allows various possible combinations, where transparent elements can create the visual effect of lenses seemingly floating within the frame.